SRC sees ethical trading as a priority and is actively involved in controlling crime within the metal recycling industry. We pride ourselves on having a zero tolerance policy with regards to trading suspicious or stolen scrap metal. Our metal scrap yard is SAPS certified for “dealer” and “recycler” activities, in terms of the SHGA. SRC has been a member of the Metal Recyclers Association of SA (MRA) for many years now, which is a SAPS accredited organisation. Scrap metal valuations are conducted by mass measurement by on-site certified scale equipment. All registered entities selling scrap metal must be able to provide proof of current SARS registration, valid tax invoices and bank details for receipt of EFT payments. Parties selling scrap metal arising from contracts with state utilities, are required to substantiate the authority governing any related scrap metal disposals. Other recycler / dealer suppliers must provide proof of SARS and SAPS registration. Individuals must present valid identification, address, telephone and vehicle registration details. Cash payments are restricted to a pre-determined maximum value, after which settlement defaults to EFT (or cheque) payment. 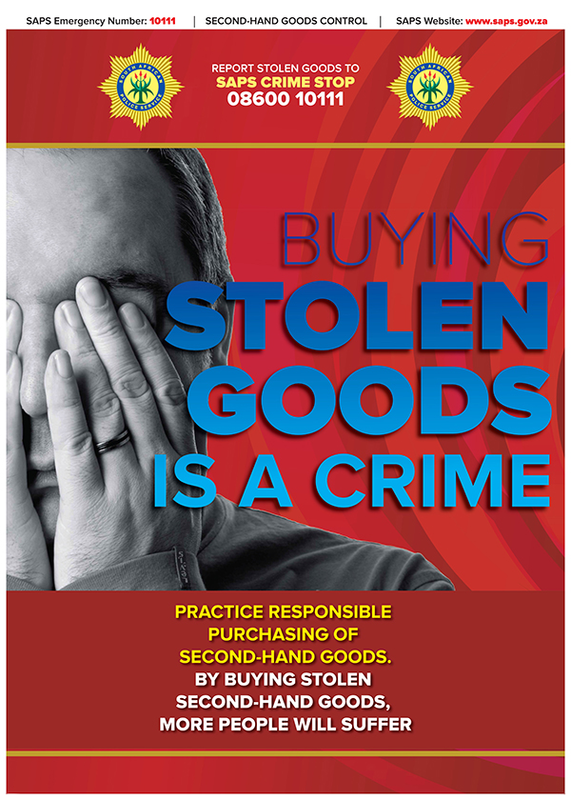 The company is actively involved within SAPS regional second hand goods forum.